Portland food Coops are teaming up to offer you this awesome deal! 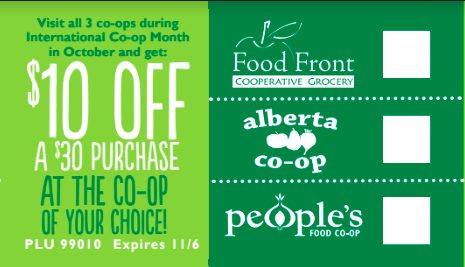 Visit all three Portland Coops during October and get $10 0ff of a $30 or more purchase at the Coop of your choice! Pick up your passport next time you visit and explore what all of your local Coops have to offer!